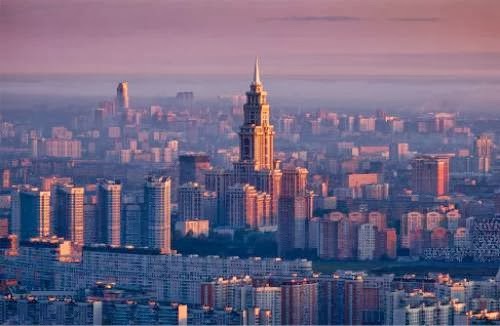 Postcard RU-2410688 from Russia shows a beautiful dawn over the Khoroshevsky District, part of the North-Western Administrative Okrug in Moscow where many historical and cultural monuments are located. In the middle of the picture on the card is the Triumph Palace Building, a 57-story 1,000-unit luxury apartment building that was once the tallest building in all of Europe at 264.1 m or 866 ft until 2007. 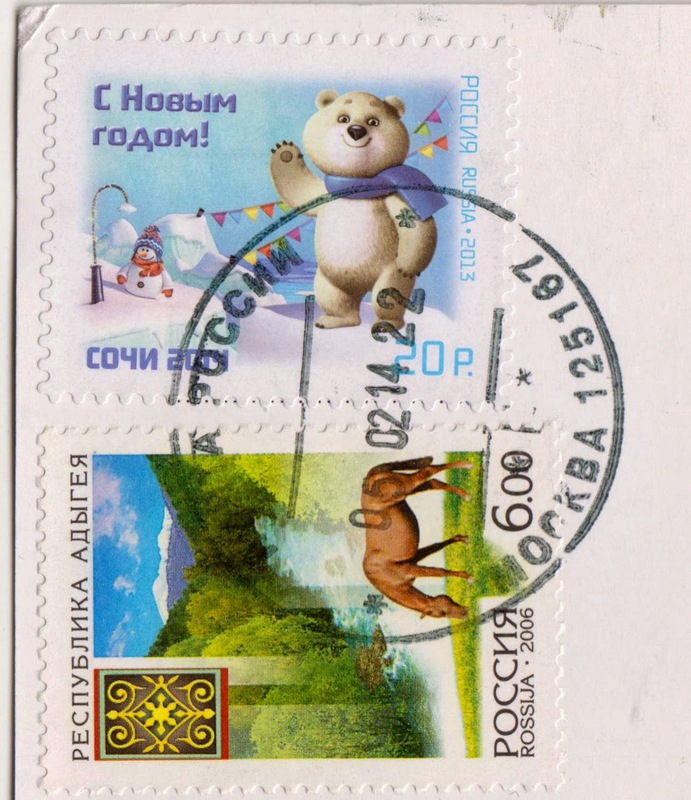 With a stamp featuring one of the three 2014 Olympic Winter Games mascots "the Polar Bear", the postcard's arrival coincides the closing of the Games in Sochi.